When I was a kid I bought To Kill a Mockingbird at The Bookworm because it seemed worth reading. It was part of the English curriculum for many kids. But alas, I never got around to reading it… Until now! Not only did this knock #3 off my to-read list as part of this Mother Daughter Reading Challenge, but it doubled as my tribute to banned books week. I love the idea of banned books week and celebrating our freedom from censorship. 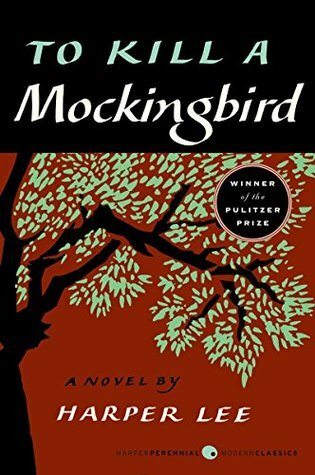 Harper Lee was pretty edgy and progressive in this novel. But even with it’s avant-garde pushing of the envelope and challenging of the status quo at the time in Alabama, this was at its essence an excellent read! I couldn’t put it down until I finished it. I had goosebumps for two chapters straight toward the end. Even though it was really late at night and I was falling asleep, the narrative got so intense I had to sit up in bed to absorb it. It was a true edge-of-your-seat moment. Harper Lee is amazing. I only regret that it took me this long to get around to reading it. I won’t be as slow on the uptake with the sequel, Go Set a Watchman. Post-Script: I’m even starting to push for Atticus as a potential baby name, if we were ever have a boy. (Maybe Scout for a girl… TBD). 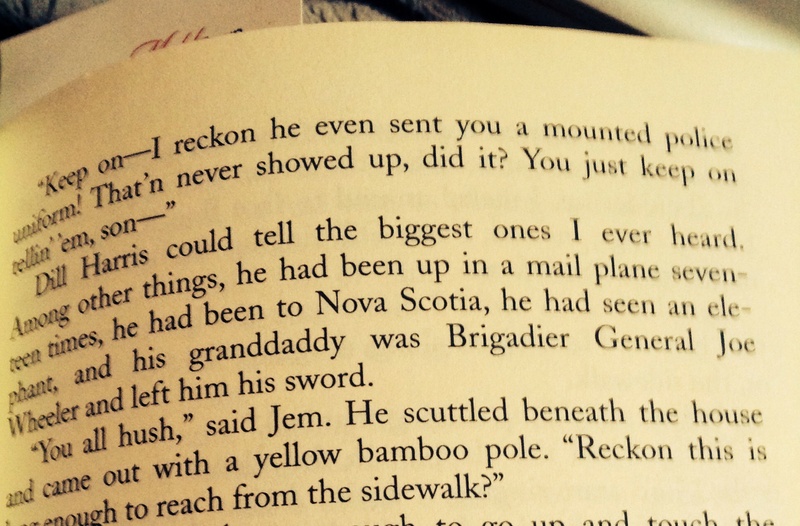 And clearly Harper Lee was a trendsetter when it came to calling Nova Scotia out as a North American Siberia. Harper Lee was in on the Somewhere in Nova Scotia trend before it was cool! This book is interesting in an odd sort of way. The main character, Holden, is an emotionally disturbed individual. He is only sixteen but I kept forgetting that. He acts like someone so much older. Maybe it’s the checking into hotels and going to bars where apparently no one ever asks for i.d.s. I’m not sure how this book ever made in into the high school curriculum. It’s about drinking, smoking, fighting, bullying, prostitution, getting expelled from school and it’s filled with PROFANITY. Things every teenager should know!